Toshiba’s first Blu-ray recorders are on their way, and the company also announced [JP] new TVs with built-in Blu-ray players today. While these TVs are nothing new (in Japanese stores, at least), it’s the first time for Toshiba to offer devices like this. A recording function would have made sense, but you can only watch Blu-rays on the TVs. At least, it’s possible to connect external hard discs via USB and record video on those. 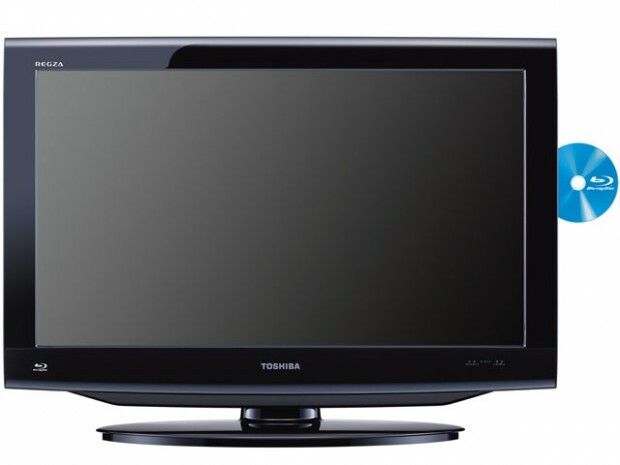 There will be two models, the REGZA 32R1BDP with a 32-inch screen (pictured) and the REGZA 26R1BDP with a 26-inch screen. Both feature WXGA resolution (1,366×768), digital and analogue TV tuners, an HDMI interface, LAN connectivity, and two USB ports. The 32-incher has a contrast ratio of 4,000:1 and 10W×2ch speakers, while the smaller one features a contrast ratio of 3,000:1 and comes with 5W×2ch speakers. Both TVs will go on sale in Japan next month. Prices: $1,400 for the 32-inch model and $1,200 for the smaller one. Toshiba hasn’t said anything yet about international sales.